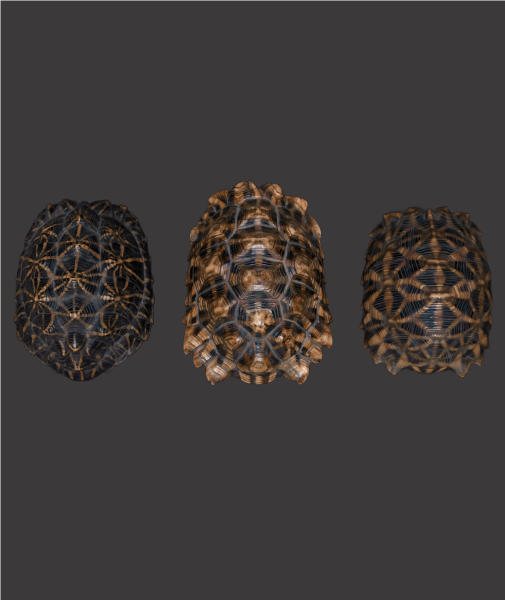 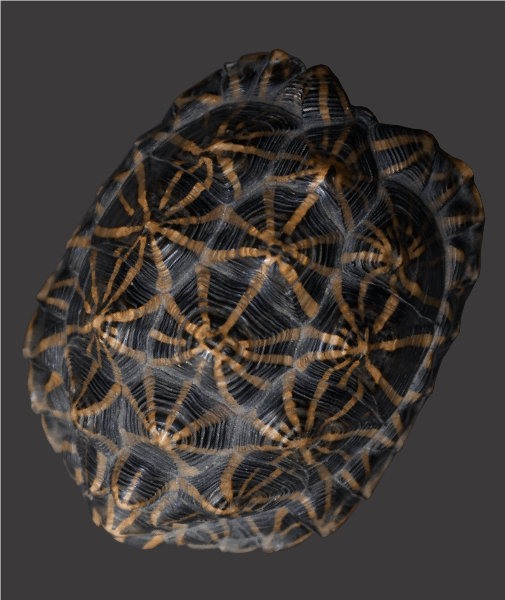 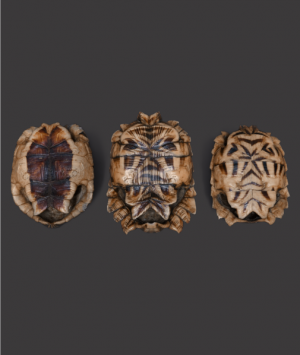 These three superb 19th century juvenile Star Tortoise shell specimens perfectly epitomise the ethos of such a collection. 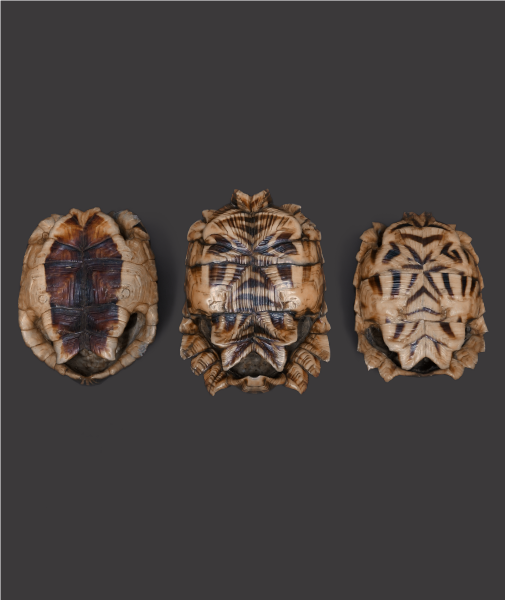 In wonderful condition, each uniquely marked with the distinctive camouflage radiating star pattern from which they take their commonly referred to name. 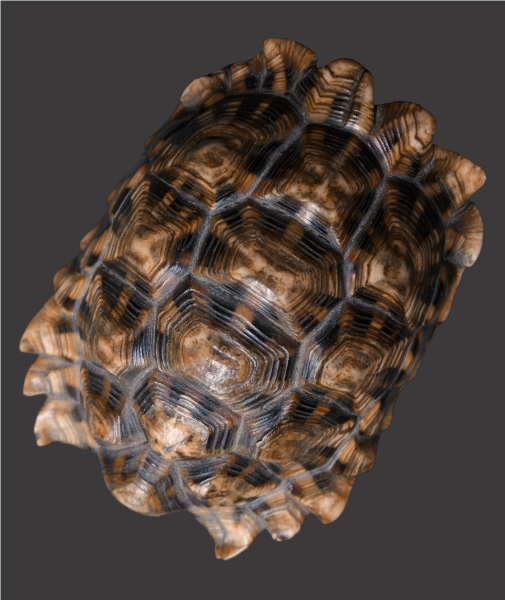 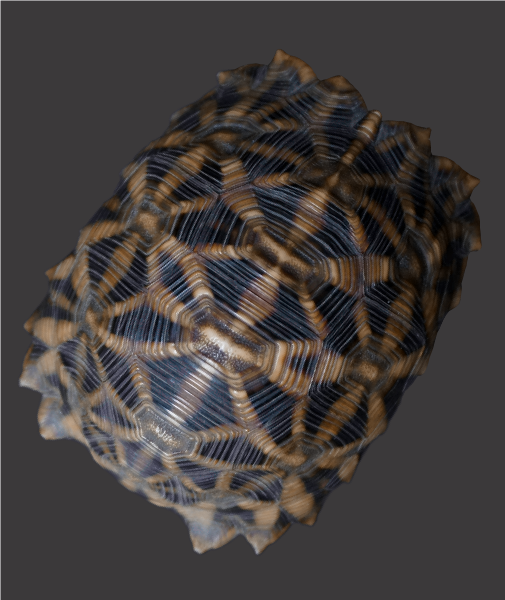 The two examples of, ‘Psammobates oculiferus’, clearly display a fascinating, distinct difference to one another on both the carapace and plastron, one healthy the other having experienced a lack of sufficient nutrition or problems with environmental conditions in life as indicated by the prominent, abnormally raised scutes, the different, but related species, ‘Geochelone elegans’, further serves as an interesting comparative.